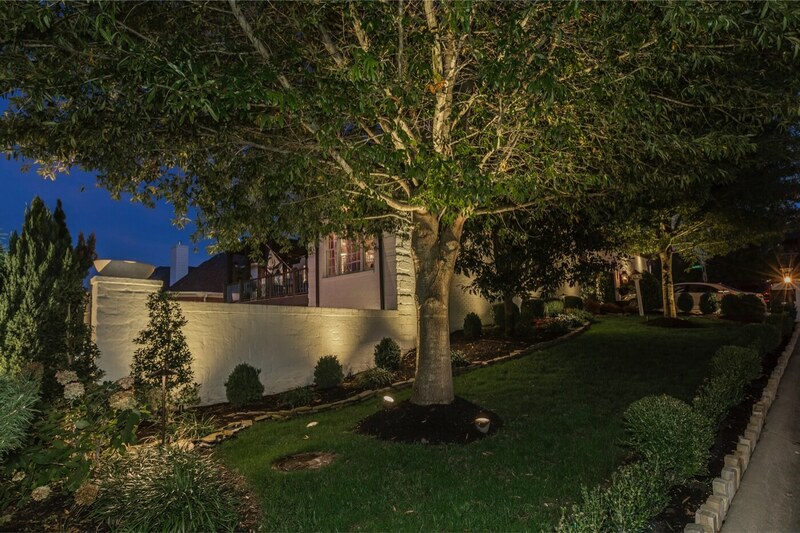 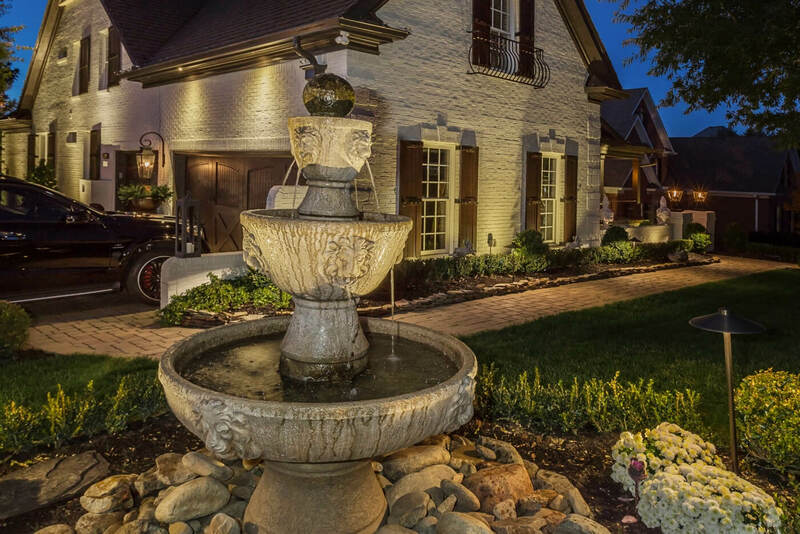 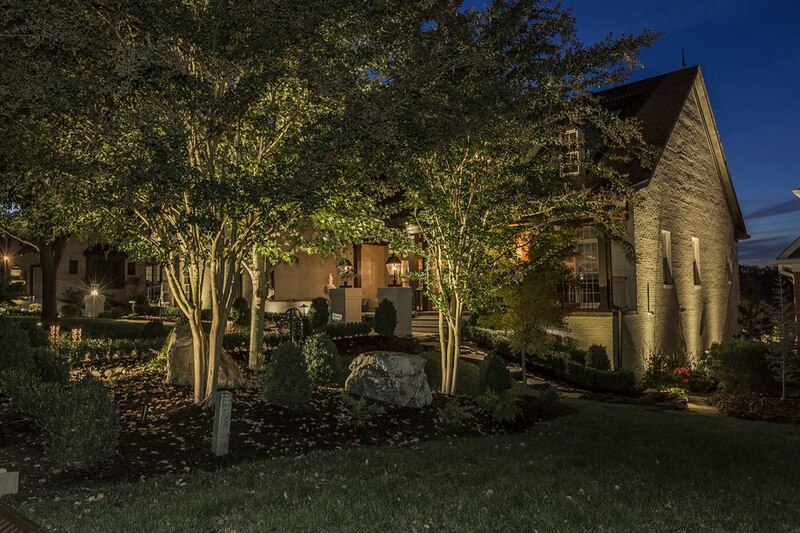 A complete outdoor lighting redesign and installation was done for this unique home in the Polo Club golf community in Knoxville. 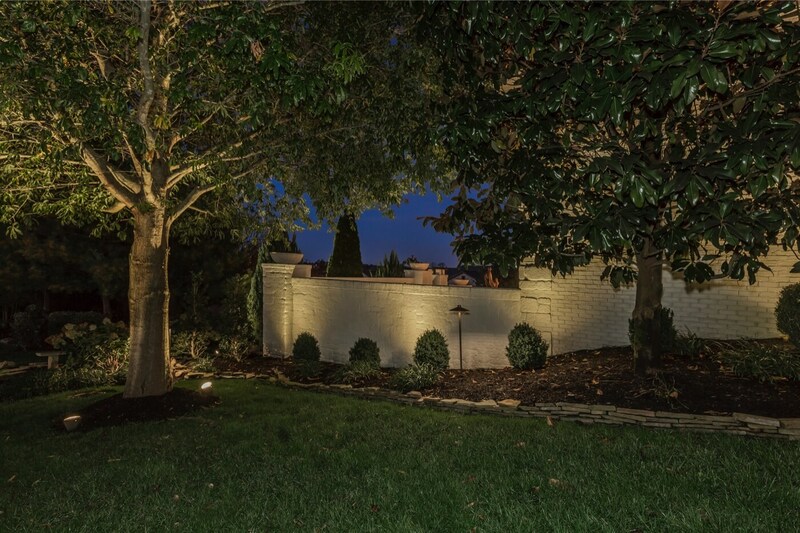 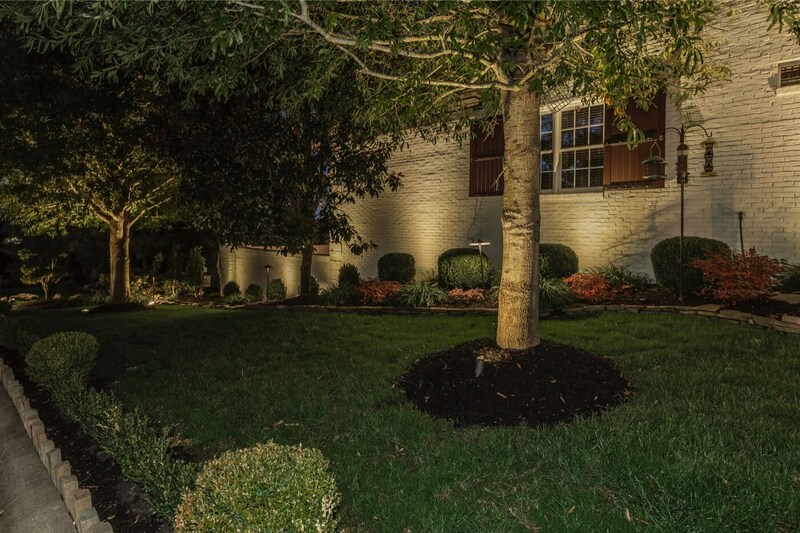 A variety of lighting techniques were used to highlight, silhouette, and showcase the many landscaping features on the property. 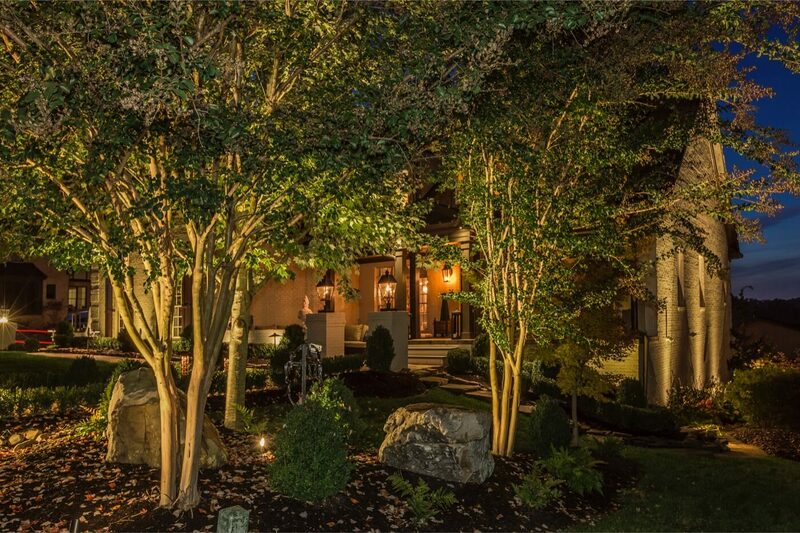 The results of the new design add magic to the trees, fountain, walkways, and garden beds. 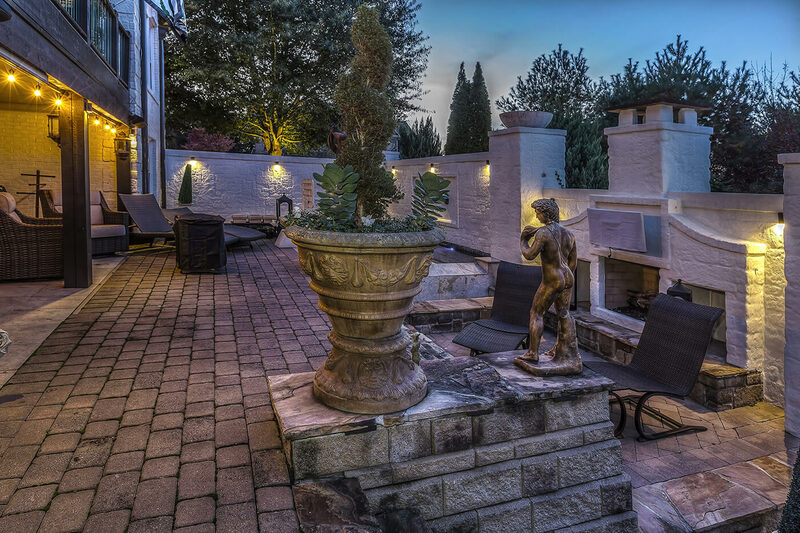 The outdoor living space and pool area can now be enjoyed long into the night.